Das lange erwartete The King Element des bekannten niederländischen Programmierers Johan de Koning stellt eine Erweiterung für den ChessGenius Exclusive dar. Auf Wunsch zahlreicher Schachfreunde und in Reminiszenz an die legendären TASC Schachcomputer wurde das neue MILLENNIUM Modul in einem eleganten Holzgehäuse im "Retro-Design“ konzipiert. Das Schach Programm überzeugt durch einen aggressiven, aktiven Spielstil und macht bei Spielen riesig Spaß - der emotionalste elektronische Schachpartner, denn es je gab! Das King Element benötigt - abgesehen von dem Schachcomputer ChessGenius Exclusive - keine zusätzliche Hardware, da es mit dem ChessGenius Exclusive Netzteil und dem vorhandenen Datenkabel betrieben wird. 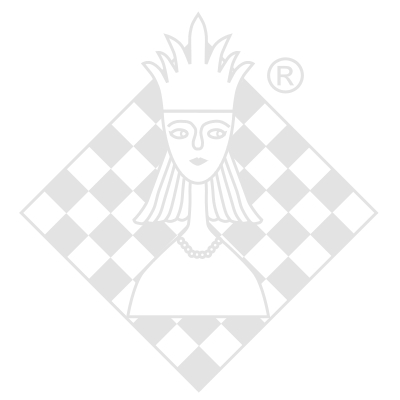 The long-awaited The King Element by the well-known Dutch programmer Johan de Koning is an extension of the ChessGenius Exclusive. At the request of numerous chess friends and in reminiscence of the legendary TASC chess computer, the new MILLENNIUM module was designed with an elegant "retro-design“ wooden case. The chess program convinces with an aggressive, active style of play and makes a lot of fun in games - the most emotional electronic chess partner ever! Save batches and optionally download opening libraries, firmware updates or program improvements. Countless options: Configure up to 3 different opponent personalities for a game as against real chess grandmasters. Unlimited levels of difficulty, variably adjustable. Outstanding playing ability (> 2,400 ELO), paired with a very active, risk-taking, sometimes even spectacular style of play. Besides the ChessGenius Exclusive chess computer there is no additional hardware required - the King Element works with the present mains adaptor’s and data cable. Modul zum Anschluss an Millennium ChessGenius Exclusive Sensorbrett (nicht enthalten) - ohne dieses Brett nicht spielfähig! Auch als Set Art.-Nr. CXMCGETKE mit dem Millennium ChessGenius Exclusive erhältlich. Module for connection with Millennium ChessGenius Exclusive sensory board (not contained) - no play possible without that board! Also available as set Art.-Nr. CXMCGETKE with the Millennium ChessGenius Exclusive.